If you decided to save a few bucks and opt for an iPad without cellular hardware, it also means you bought yourself a tablet without GPS. Wi-Fi hotspot locations help it guesstimate your locations, but if you want better results, you'll have to spring $130 for Bad Elf's tiny GPS module. Ironically, $130 is the exact price difference between a Wi-Fi iPad and a Wi-Fi + cellular model, so it might be easier just to give Apple your money to begin with. 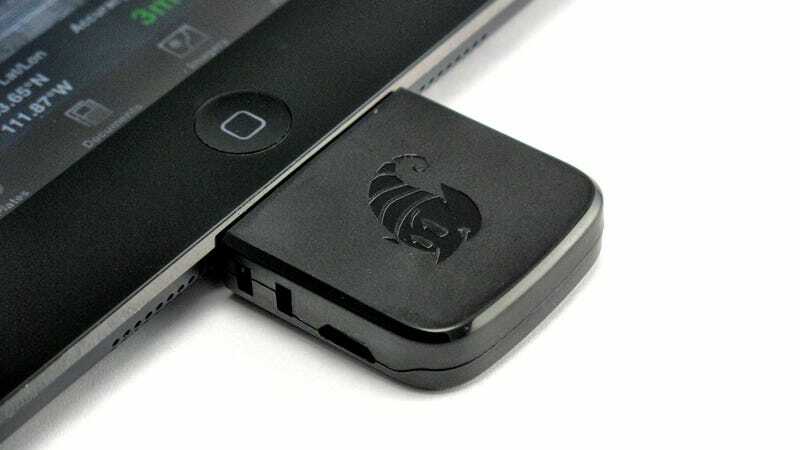 But for Wi-Fi iPad users with buyer's remorse, this is an easy way to beef up your device.